Imagine this scenario: you wake up one morning to find that your entire site is gone. Every post, comment, tweak and photo has disappeared into the ether. Nightmares and cold sweats, right? Can you even wrap your mind around the possibility of starting all over from scratch? I can’t. In fact, I feel a little nauseous just thinking about it. 1. 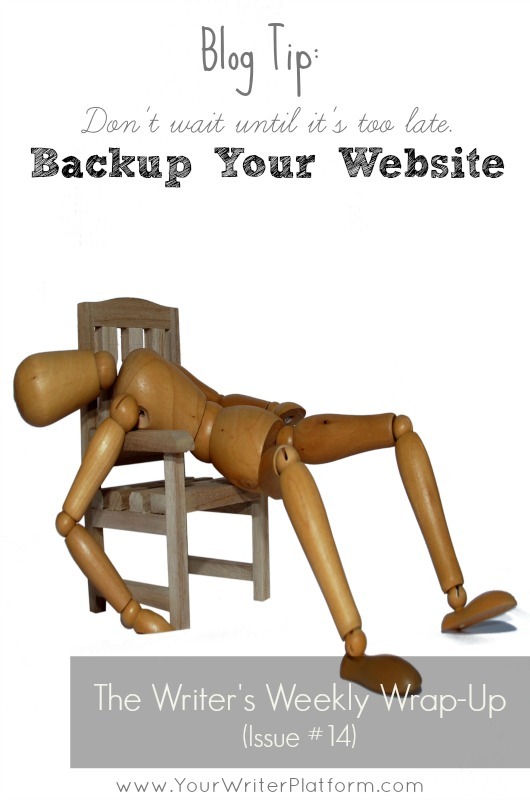 WordPress BackWPup plugin (free) – this plugin allows you to schedule full, automatic backups, as well as decide where you want your backups stored. Go here for a quick tutorial on setup. 2. Backup Buddy is a premium (paid) plugin which is similar to BackWPup, but also provides support and malware scanning. 1. Click on Tools on the left sidebar of your dashboard, then click ‘Export’. 2. On the page that loads, click ‘Export’. 1. Click ‘Template’, then ‘Backup/Restore’. Click ‘Download Full Template’. 2. Go to ‘Settings’, ‘Other’, then under the ‘Blog Tools Menu’ select ‘Export Blog’. Click ‘Download Blog’ (includes your blog posts and comments). 3. You can also back up the Picasa Album (for your photos). Is it done? Feel better? Good! Now enjoy reading this roundup of the best-of-the-best online this week. This post is right on the money when it comes to the importance of ‘getting it right’ with your About page. An often overlooked, but extremely important aspect to your website, Joel outlines what you need to do to get it right. Learn how to use Pinterest to increase awareness of your author brand, drive more relevant traffic to your website and increase your book sales. Have you considered using LinkedIn as more than just an online resume? In this article, Kristi outlines some ways to increase your earnings using the number one business platform. 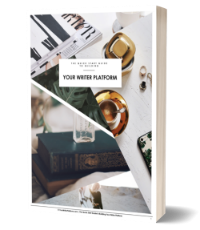 Pay special attention to her sections on growing your mailing list, offering services (for freelance writers) and increasing book sales. Amy states that: “The key to leveraging images is to start thinking about them differently — as a distinct piece of content, just as important to your content strategy as any other campaign.” This article will give you some great ideas on how to use images for optimal results on Facebook. This post is a monster! Jeff leaves no stone unturned with an infographic on how to get your posts -and yourself- noticed. Besides having a beautiful blog, Marianne also has some great tips on how to get your site looking top notch. Check out this tutorial on how to set up your favicon – that tiny little icon by a blog’s name in your browser. (Note: I use the All In One Favicon plugin as a commenter suggests in the comment section). As we learned from Amy’s post above, images are a great way to increase engagement on Facebook. In this article, Mike gives us some useful tricks to spruce up and tweak our cover image to keep things fresh. Want to reward your amazing blog readers? In this article, Molly outlines two ways to easily give your readers more of what they want. Dan urges us to consider the quality, not the quantity of our connections when building our writer platform. Carol reveals a marketing tactic that worked extremely well during her recent book launch. These guys are super goofy, but they do know their stuff! 🙂 In this podcast they discuss what they wish they’d known before starting out, mistakes they’ve made and how ‘going through it’ might be the best way to get to where you need to be. Kristen discusses what a ‘real’ writer is, and how a shift in mindset might be the key to a successful writing career as a professional writer. ‘Eat, Pray, Love’ author, Elizabeth Gilbert, discusses the emotional risk that artists now face, as well as the affects of unrealistic pressure, responsibility and expectation placed upon them and their work. She also suggests that ‘genius’ may not come from within, but from a source outside ourselves. Take a look and let me know what you think in the comments below. Hey Kim, I know this is like a month late, but I just realized you mentioned my site here! Thank you so much! I also didn’t realize you were doing weekly roundups here too, awesome! Will start checking these out for sure! Great article, and I’m happy to share awesome stuff with my readers, Marianne! Keep’em coming!